Being able to wave your hand through the air and control a physical object — as if by magic — is everyone’s dream. And if you say it’s not yours, then you sir or ma’am are a liar. That’s why we had to stop at the Regal Elite booth on the floor at Toy Fair. The company was showing off the Force Flyer, an RC helicopter you pilot with an accelerometer-equipped glove. The patented tech, called Glove Force Technology, adds a level of physical interactivity that’s more Wii than RC. A small joystick you hold in your palm controls thrust, while tilting and moving your hand through the air gets the chopper to perform acrobatic maneuvers — or plummet to the ground if you’re an Engadget editor. The Regal Elite staff seemed to have pretty good control of the Force Flyer, which gives us hope that our difficulty in keeping the toy airborne was due more to our lack of familiarity and not with the quality of the device. The glove controller on hand was still a prototype (as is much of what’s on the floor at Toy Fair), hence the New Balance logo, but the actual internals are around 80 percent complete according to a rep. The smaller, indoor Force Flyer should be hitting the market in late April for $49.95, followed by a larger outdoor version. Check out the gallery below and video after the break for more. 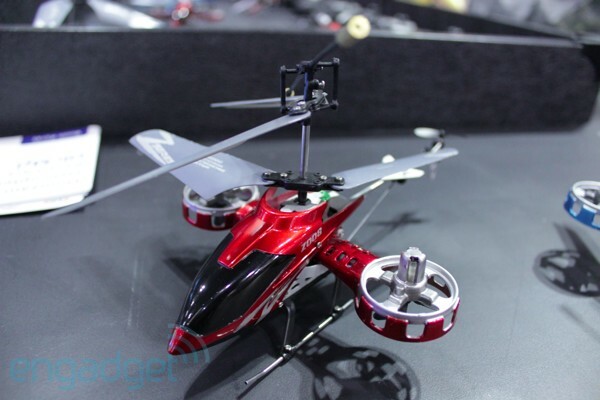 Force Flyer accelerometer-controlled RC helicopter, we go gloves-on originally appeared on Engadget on Sun, 12 Feb 2012 17:24:00 EDT. Please see our terms for use of feeds. LG’s smartphone workshop is keeping itself busy. Alongside the manufacturer’s attempt to out-Note Samsung, its latest Windows Phone has resurfaced. A kindly mole has offered some better focused (but unfortunately watermarked to heck) shots of LG’s first Mango-laced Windows Phone. Skinnier that we expected, we can now make out a front-facing camera, paired up with a rear-facing five-megapixel primary shooter on the back. It’s still a prototype, judging by that not-so-subtle “not for sale” etching on the back, but expect the Miracle — when it does go official — to match those middleweight credentials leaked so far. 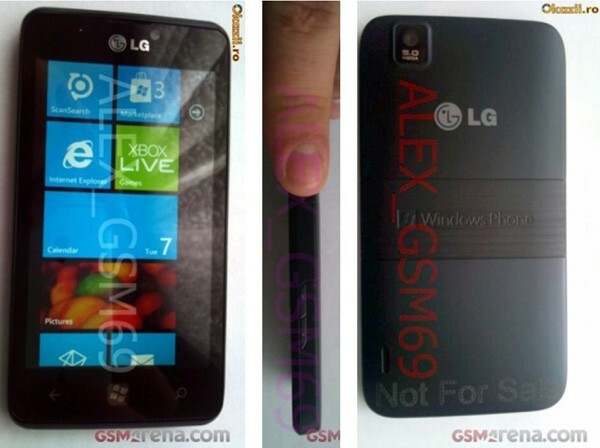 LG Miracle appears in real life, we start to believe originally appeared on Engadget on Sun, 12 Feb 2012 16:28:00 EDT. Please see our terms for use of feeds. Alright, zAPPed is no GameChanger but, where Hasbro’s line of iOS-integrated board games falls short in the pun department, it shines in cleverness. The Game of Life launched just a couple of days ago with a special edition designed to be used with an iPad app, while other classics Battleship and Monopoly are scheduled to follow later in the year. All make your iDevice an integral part of the gaming experience and leverage an ingeniously simple solution to boosting the interactivity. Underneath the game pieces are uniquely arranged capacitive plastic pads that allow the apps to identify what you’re holding. Different boats in Battleship have slightly different arrangements of pads underneath that allow the app to tell whether your carrier or destroyer has been sunk. Monopoly uses the same trick to differentiate player debit cards. When it comes time to make a transaction, you swipe the card across the screen of your iPhone and funds are automatically added or subtracted from your account. Monopoly also adds a few more play options, including a mini game for escaping jail. The Game of Life, of course, lets you spin a virtual wheel, but also customize virtual pegs — adding hair and accessories where once you were stuck with plain pink or blue ones. Game of Life zAPPed Edition is out now for $25, while Monopoly will land in June, followed by Battleship in September. Check out the gallery below and the PR after the break. 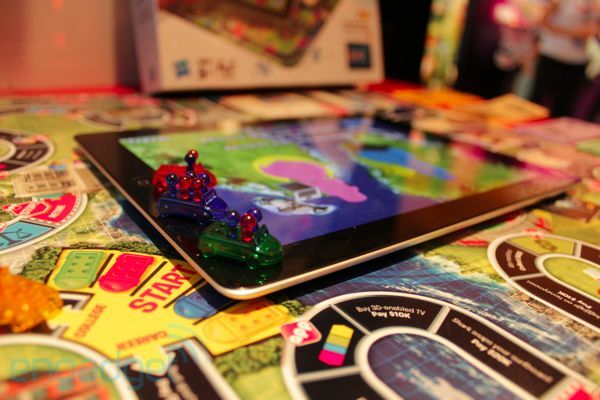 zAPPed board games hands-on originally appeared on Engadget on Sun, 12 Feb 2012 15:21:00 EDT. Please see our terms for use of feeds. This entry was posted on February 12, 2012, 5:48 pm and is filed under Mobility. You can follow any responses to this entry through RSS 2.0. Both comments and pings are currently closed.